The benefits of Northwest hydropower outweigh its drawbacks, said Stephen Wright, retiring Bonneville Power Agency administrator, Wednesday in Richland. He spoke at a Tri-City Regional Chamber of Commerce lunch to mark the 75th anniversary of the BPA. Wright is leaving the agency in January. President Franklin D. Roosevelt campaigned in the Northwest in 1932, saying the nation needed to find ways to use public waterways for the public good. By 1937, with the Grand Coulee Dam almost complete, the BPA was created by Congress to distribute hydropower. Building Grand Coulee was controversial, with the media calling it power for jackrabbits and coyotes, Wright said. 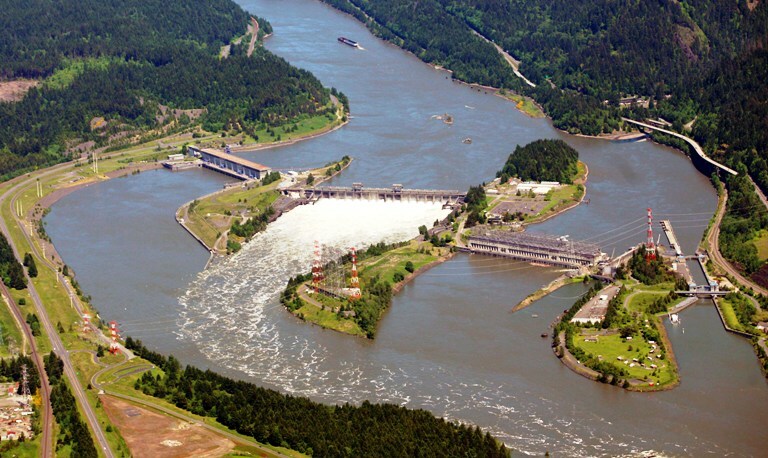 But it proved its worth when World War II began, with the aluminum it and Bonneville Dam provided being used for the nation's air and naval fleet. It also provided the power that was a key reason that the land north of Richland was selected for the Hanford nuclear reservation, producing plutonium for the atomic bomb dropped on Nagasaki, Japan. Without the Bonneville and Grand Coulee dams, the war might not have been won, Wright quoted President Harry Truman as saying. As a result of the hydropower that BPA delivers and sells, the Northwest has some of the lowest electric rates in the nation, Wright said. Clean, low-cost power has attracted businesses that include Google, Amazon and BMW to the region, he said. While other parts of the nation have looked to secure some of the Northwest's low-cost hydropower, long-term regional utility contracts signed for BPA power use through 2027 come as close as possible to ensuring that power sales are cost-based rather than market-based, he said. The hydroelectric dams provide an environmental advantage in addition to an economic advantage, he said. The Northwest region now has two coal-fired plants to produce power, but would have 15 of the plants and decreased air quality without the hydropower system, he said. The navigation system allowed by the dams also benefits the environment. If cargo moved on the river were trucked instead, emissions would be four times as great, he said. The dams also have prevented substantial flooding, including in the Tri-Cities and Portland, he said. And they have allowed wind power to be used, helping provide a steady supply of power on the grid when the wind does not blow. The significant drawback to hydropower is the impact to fish and wildlife and the Native American community, which has lost tribal fishing areas but has not shared in the bounty created by the dams, Wright said. Breaching the dams would be a mistake, but "the challenge is to show we can restore salmon and steelhead without breaching," he said. Progress is being made, he said.